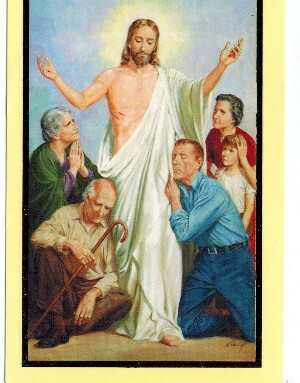 prayer on back/ paper card stock Prayer of Consolation O Lord Jesus Christ, hear me in my distress. You came down from heaven to save what was lost, and I ask You now to come to me in my hour of need and help me through this trial. Fill me with the peace of Your holy presence and take control of my life. You are my Savior and My Consolation, Amen. size: 4" by 3"